With heart and hunger, Joel Brown built addicted2success.com from scratch to be the #1 motivation site in the world. With over 100 million views and over 50 Million Unique website views from his world wide audience, Joel has insights and analytics on Personal Development like no other in his industry. His Addicted2Success podcast has reached over 1.2 million podcast plays and downloads to date and his Social Media following is at 2 Million+. He has worked alongside some of the greats in the world of motivation, business and spirituality, including Tony Robbins, Deepak Chopra, Tim Ferriss, Gabby Bernstein, Gary Vaynerchuk, Grant Cardone, Simon Sinek and more. Joel carries some fun facts, like appearing on the front cover of Foundr Magazine, Change Creator Magazine and Lifestyle Business Magazine, and being an author on Entrepreneur.com and Success.com. He’s a producer of the forthcoming Rise Up movie alongside Tony Robbins, Bob Proctor, Dwight Howard, Lisa Nichols, Jack Canfield, Michael Bernard Beckwith and more and he has spoken on some epic stages including The Mindvalley Hall of Awesomeness, The Epic MasterMind & The New Way LIVE. 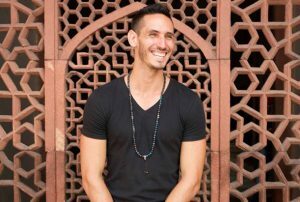 Joel is making his mark on the world through his online and offline contributions, recently raising over $50,000 in 2 weeks with his Addicted2Success community to build a school in Laos with Pencils of Promise for children living in poverty.